Bellababy Studio: Tis the season, Jolly Jolly! Time for Bellababy Studio to offer my fave fans a super fab discount for the ENTIRE month of December! 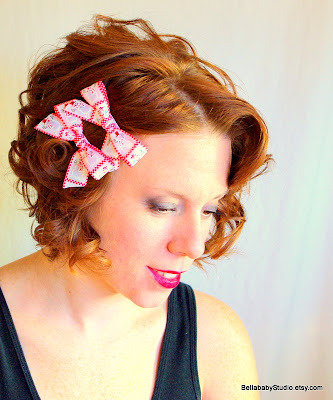 15% off the whole kit and kaboodle--includes FREE SHIPPING on all Hair Bows. Not to mention, 15% off already reduced Holiday pricing! You want to wish me a Merry Christmas now--dont you??? If not, I'll settle for Happy Holidays...tis the season!